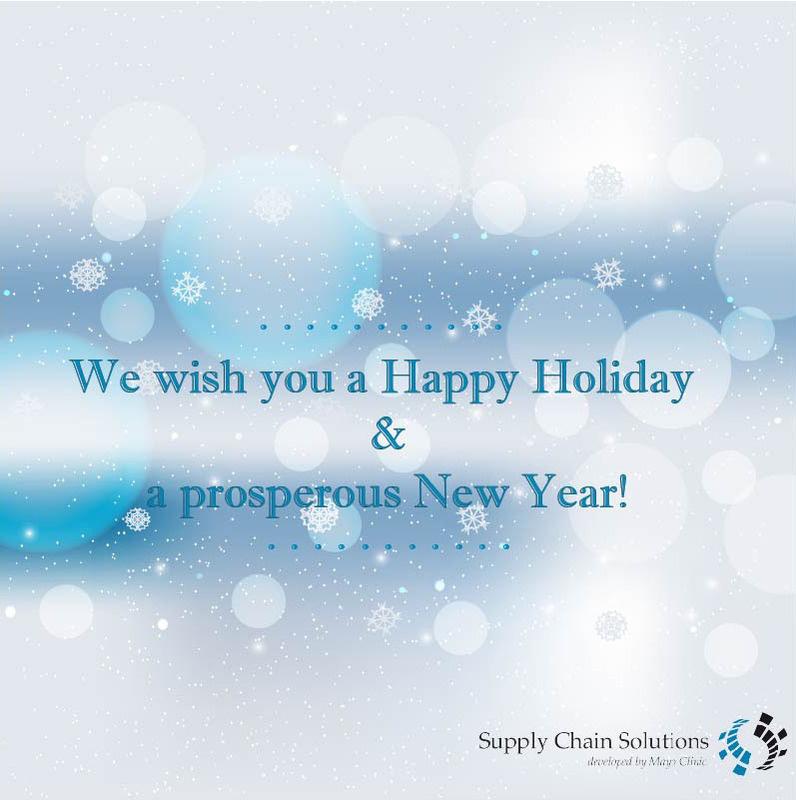 Happy Holidays and a prosperous 2019 from all of us at SCS! Matt Wood will be attending this year’s Fall Hospital Supply Chain Conference from October 17 – 19, 2018 in Chicago, IL. During this Conference you can network with your peers and expand your industry knowledge with cutting-edge educational sessions. Let us show you our innovative, transparent and Revolutionized Freight Management Program. Contact us today to schedule a meeting while you are at the conference or meet us during the Reverse Expo on Thursday, October 18th from 1:30pm – 3:30pm or Friday, October 19th from 10:00am – 12:00pm. SCS is proud to be attending this years AHRMM18 conference in Chicago, IL from August 12-15th, 2018. Come see Matt Wood, Bettina Halvorson, and Brandon Moyerat Booth #465 to see why SCS is REVELUTIONIZING freight management. Gone are the days of bad freight spend data, lack of cost transparency and poor supplier conversion. Find out how we are different! April 19th, 2018 - Supply Chain Solutions (SCS) is looking forward to "dive deep" into the Vizient Connections Summit in Las Vegas, NV from May 1st - 3rd, 2018. Are you a healthcare organization who is tired of the 3PL model and are interested to learn more about Mayo clinic-SCS freight management program and the savings it can bring to your organization? Drop us an email scslogistics@mayo.edu or call 855-875-4862, we would love to meet with you during the conference. SCS Awarded Novation 2 Year Contract Extension! Supply Chain Solutions, developed by Mayo Clinic, is proud to announce it has been granted a 2 year contract extension by Novation--effective August 1, 2014. This extension was awarded to SCS due to the significant value it offers to its Novation clients. In the end, the real winner is an SCS Client who not only benefits from even greater freight expense savings, but also from increasing its freight management acumen--an inherent, discerning difference the SCS program brings to the health care marketplace. Contact us today, to learn about the increased value available to your health care organization! March 12, 2014 - (Rochester, MN) Matthew Wood and Susan Alexander, members of the Supply Chain Solutions Developed by Mayo Clinic freight program team, are attending VHA's Navigating to Excellence Forum in Las Vegas, April 27-29, 2014. Stop by our booth to learn how current SCS clients saved an average of 38% on their freight expense in 2013, over and above their previous 3PL! October 10, 2013 - (Rochester, MN) Erich Heneke, Senior Manager in Supply Chain Management at Mayo Clinic, and Terry Buske, from JH Capital Group, are presenting a 90 minute interactive workshop on ‘Revealing and Remediating Supply Chain Control Risks’ at the 1st Annual International Conference on Healthcare Leadership. The event, hosted by the American College of Healthcare Executives – SouthEast Texas Chapter (ACHE – SETC), is being held in Houston, TX October 22-25, 2013. Continuing education credits may be earned for participation. September 9, 2013 – (Rochester, MN) Supply Chain Solutions (SCS) is now available to connect to within the business-oriented social networking site LinkedIn. To visit SCS's LinkedIn company site, please click here. November 1, 2012 – (Rochester, MN) Supply Chain Solutions launches its new website www.myscsolutions.com. Learn all about our program being offered to the healthcare industry and why we are a unique solution to controlling your freight spend. October 1, 2012 – (Rochester, MN) Supply Chain Solutions, a health care logistics management firm, is happy to announce a contract award for Freight Management given by Novation LLC (Irving, TX). This agreement, effective October 1, 2012, will bring value and savings to Novation members through analytics, change management, industry knowledge and market competitive rates. SCS’s goal is to partner with health care organizations to look at their supply chain spend and create lasting, meaningful change in their organization to insure that any money spent for freight is money well spent on freight, using proven controls learned at Mayo Clinic.